Cancun’s nightlife, and the beauty of its Caribbean beaches, are legendary. Tourists who visit this Mexican resort on the Yucatán Peninsula can enjoy a variety of activities such as snorkeling scuba diving, and windsurfing before hitting the bright lights among the ever-smiling locals at night. However, one of the great attractions of Cancún is that it’s within striking distance of fascinating historical sites that were built by the mysterious Mayan civilization which has been in the news recently. The end of the Mayan calendar, which fell at the end of December 2012, attracted much attention among doomsday prophets who predicted fire and brimstone. Apocalypse aside, for those who are truly fascinated by this mysterious civilization a visit to Cancún in Mexico should be at the top of your bucket list. 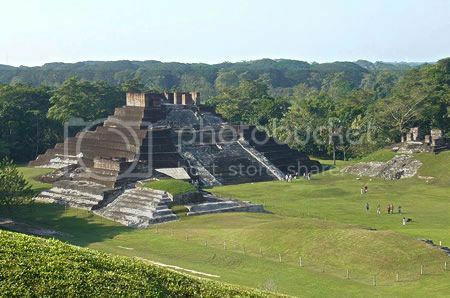 You can see Mayan pyramids that they abandoned for unexplained reasons thousands of years ago, and ponder over evidence of their advanced knowledge of science and astrology when the rest of the world was practically in the dark. 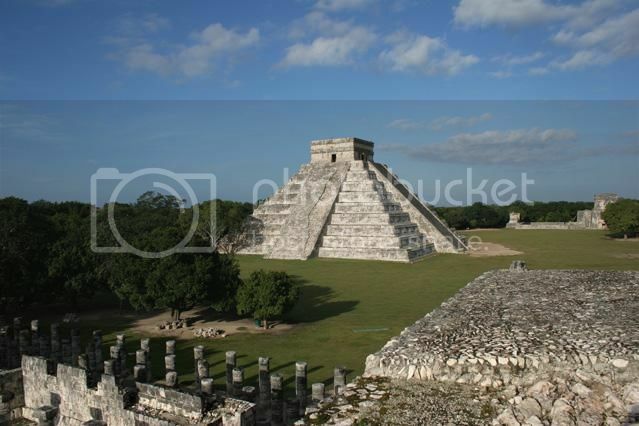 Here is a quick top-five tour of Mayan sites recommended to travellers to Cancún. All of them can be reached by road with a hire car or via specific tours laid on from hotels and resorts in the city. Of the outlying sites only Tulum has a public bus serving it directly from Cancún. The ideal introduction for newbies to Mayan culture, the ruins in front of the Playa Delfines (a very popular beach) are bang in the middle of Cancún’s hotel zone. Their name comes from the skeleton that was found in the larger of the mounds, and which some people believe to be a Mayan king, indicating that the El Rey Ruins were once a royal burial ground. A short way inland from Cancún, the 75-foot-high pyramid to the Mayan’s most important god, Kukulkan (feathered serpent), is the highlight of this breathtaking site, recently made a New Wonder of the World. Look out for the twin serpent head sculptures at the base of the steps of the pyramid. 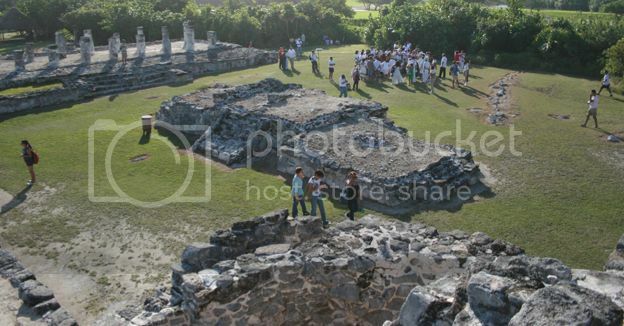 Also noteworthy is the Pelota or Ball Court, which is a sports ground where the Ancient Mayans played a mysterious game that to this day is still the subject of speculation. 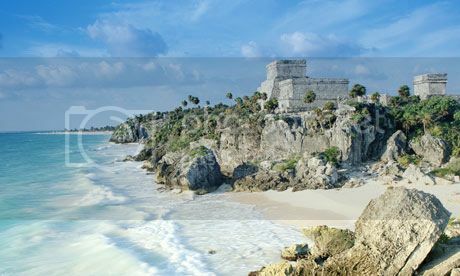 Eighty miles to the South of Cancún, Tulum is the only Mayan archaeological site that overlooks the sparkling Caribbean Sea. When the Spanish Conquistadors arrived in 1518, they were faced with the imposing fortress of El Castillo, which still stands today. Tulum is also the perfect spot to engage in some water sports such as snorkelling, away from the more crowded beaches of Cancún, for a day. Still south of Cancún but a little further inland, Cobá is a much larger Mayan site that is slowly being reclaimed from the jungle and will appeal to adventure-seeking Lara Croft types. 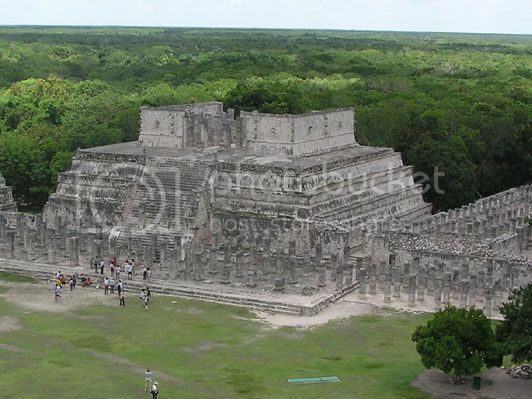 It consists of a number of different structures that are still being investigated by archaeologists, and like Chitchen Itza, it is believed to have been abandoned suddenly for unexplained reasons in around 900 AD. Another attraction of Cobá is its rainforest location, and those interested in the natural world will have the chance to experience the abundance of life in this environmentally protected area. 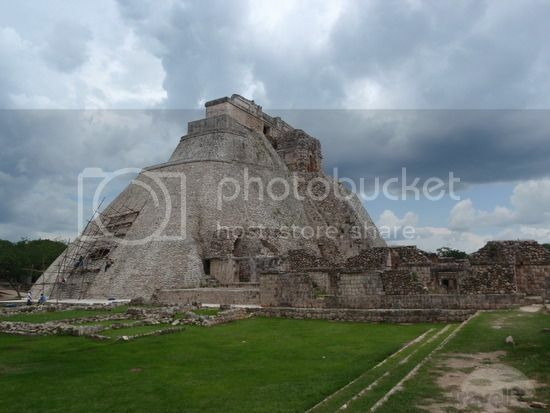 Rated the most impressive Mayan monument of all by archaeologists, the Temple of the Magician at Uxmal is an exhilarating, if challenging climb. The site south of the lively town of Mérida is some distance from Cancún, but for Mayan culture enthusiasts, it’s a must-see.